The Kingdom of Hawaiʻi Tax Ledgers for the district of Hāmākua (1863-1876, 1878-1882) have been digitized by the Hawaiʻi State Archives, and we have made them available for you here. 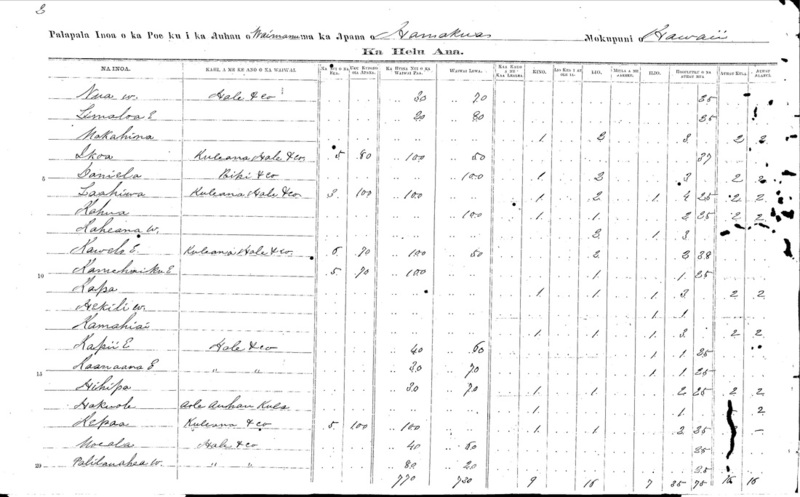 These documents can provide some very useful information for ʻāina and moʻokūʻauhau (genealogy) research, listing the names and ages of individuals who paid taxes, their place of residence, and the assets they paid taxes on. Most are recorded in ʻŌlelo Hawaiʻi, but some of the later ledgers are in English as well. Click on the links below to download the original files.